Tired of the same old Halloween costumes each year? This time, spruce things up with the original and creative embroidery design that works as a great standalone accessory. 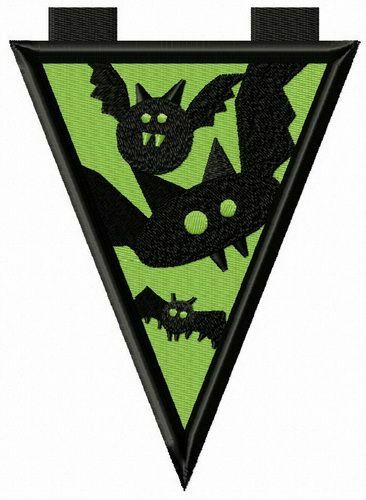 The triangle caution sign is embroidered in a combination of green and black. The three bats are looking ominous with their wings spread wide. You can use this great needlework to brighten up your Halloween costume or enhance various home decor items ahead of the Halloween party, for example, napkins, cushions, cup holders, etc. The application works with all kinds of suitable fabrics. Earn 148 points for purchasing this product.